With calm paths, deep runs, gentle riffles and a healthy dose of raging rapids, Glacier Country has the full spectrum of river conditions. And while Montana's rivers are vastly different, they each share a few fine features: cool and clear water, pretty views and easy access. For a complete list of waters and access sites, visit Montana Fish, Wildlife & Parks. Traveling 84 miles through the Bitterroot Valley from its source south of Hamilton, the Bitterroot River joins the Clark Fork River near Missoula. The river is very accessible for floaters, rafters and anglers and follows Highway 93 through much of the valley. It also includes many fishing access sites. Made famous by Norman Maclean's A River Runs Through It and a renowned blue-ribbon trout stream, the Blackfoot River flows 132 miles from near Lincoln to Bonner where it connects with the Clark Fork River. The Blackfoot meanders through high alpine meadows and steep, forested slopes and is popular for floating, fishing and rafting, with many access sites. Originating near Anaconda, the Clark Fork River travels north and west for 350 miles before emptying into Lake Pend Oreille in northern Idaho. The river has gained a reputation for excellent rafting and kayaking through the Alberton Gorge, west of Missoula. It also flows through the heart of downtown Missoula and is a popular fly-fishing destination. 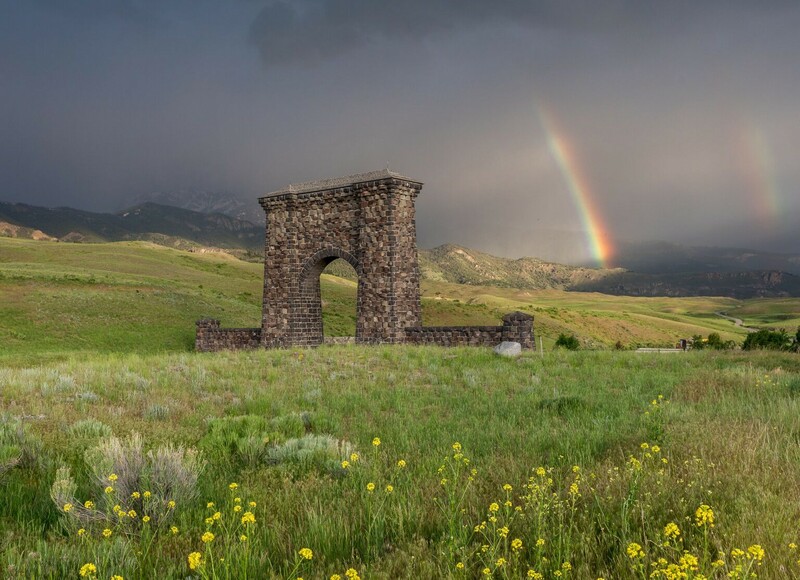 Traveling 46 miles from the Seeley-Swan Valley and emptying into the Blackfoot River near Clearwater Junction, the Clearwater River is home to numerous species of fish, including largemouth bass, bull trout, brown trout and rainbow trout. For a leisurely paddle, visitors are advised to take a canoe or kayak on the Clearwater Canoe Trail—an isolated portion of the Clearwater River—before it flows into Seeley Lake. The Flathead River is a unique glacial river consisting of three different branches: the North Fork, South Fork and Middle Fork. Originating from glacial and snow runoff, these rivers run extremely cold. The Middle Fork originates in the Bob Marshall Wilderness and is perhaps the best whitewater river in Montana. Designated as a Wild and Scenic River, its upper 46 miles are wild, while the lower 49 are recreational, with rapids named Jaws and Bonecrusher, just to give you an idea. The waters of the Middle Fork are fed by groundwater and glacial streams and eventually create the southern boundary of Glacier National Park. The Middle Fork is popular for rafting, kayaking and fishing. When rafting the Middle Fork, it's best to go with a guide. Originating in British Columbia, Canada, the North Fork flows into Montana with a special kind of beauty and serves as the western border of Glacier National Park. Designated as a Wild and Scenic River, its upper 41 miles are wild, while the lower 17 are recreational. The South Fork begins in the Bob Marshall Wilderness and flows north for 57 miles into Hungry Horse Reservoir. Its upper 50 miles—from the headwater to the Spotted Bear River—is classified as a wild river. Primary access to the river is by backpacking in or riding in on horseback. Originating in Kootenay National Park in British Columbia, the Kootenai River flows 485 miles into the northwest corner of Montana and through the communities of Libby and Troy, before flowing into northern Idaho, back into Canada and finally joining the Columbia River. Libby Dam holds back the Kootenai River, creating Lake Koocanusa—a 90-mile-long reservoir that provides excellent trout fishing and recreational opportunities. Located in the Lolo National Forest near Clinton, Rock Creek flows through a narrow canyon and is a popular destination for fly-fishing. Many access points are available along the dirt road that skirts along parts of the creek. A popular destination for novices and experts, Rock Creek is home to rainbow trout, bull trout and brown trout. Originating in the Mission Mountains, the Swan River travels 92 miles through Swan Lake before emptying into Flathead Lake. It's home to westslope cutthroat trout, lake whitefish, largemouth bass, northern pike and brook trout. Beginning in Upper Thompson Lake, the Thompson River flows south through Middle Thompson Lake and Lower Thompson Lake before joining the Clark Fork River near the community of Thompson Falls. A gentle river, it is known for its clarity and is a popular Montana fishing destination.